Today is a perfect day for change. I’ve talked a lot lately about getting ahead of the holiday season typical gains, that now is just as good as January 2016 to start putting steps into action for next years goals. Because it is. Say if you knew on June 1, 2016, all the money you had in a specific jar by that date would be tripled, and you could start putting money in that jar right now….you wouldn’t wait two months to start would you? Of course not. But when it comes to our health and fitness it’s easier to say ah, I’ll start that tomorrow, next week, next month, in the new year. But the benefits work just like that jar. Work put in now, builds your momentum, results come faster. What that change looks like for you might be different from the person next to you. Depends on current habits, current interests. One of the best tools to help you determine what changes you want to make are to look at some goals. Make em specific, make em about what you want to achieve, not someone else’s yardstick. It’s never too late, never too tough to create real change in you health and wellness. Never! So pick that goal. Maybe it’s a race, maybe it’s a pull-up, maybe its to give your kid a piggyback ride around block without getting winded, all are the same. There are tools, classes, people, exercises that will help you get to any of those destinations. All it takes is a decision from you to start! And if you start now, by Christmas you are that much closer, and you will feel healthier, busted holiday stress, and maybe even drop a few pounds in the process. I know, I know. Tonight’s post is pretty sunshine and rainbows. Not a lot of specifics. I’ll get to that in the near future. Promise. But for now my point is to inspire you to take a step. 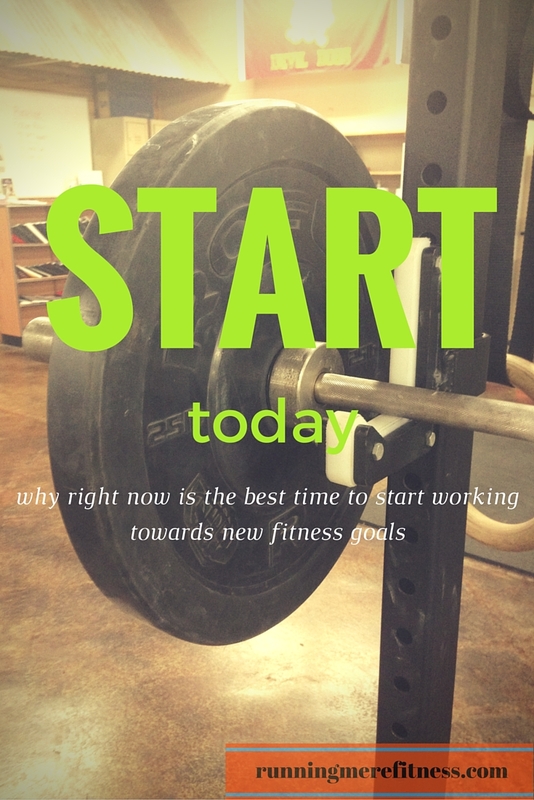 Make you realize that now is always the best time to start a new fitness habit or start working towards that goal. Every day the best parts of my day come from watching athletes-moms, dads, old, young, do things only weeks or months ago they couldn’t. Don’t get me wrong, work is put in day after day, but the biggest step was to get out of their cars and into the box for their very first class.